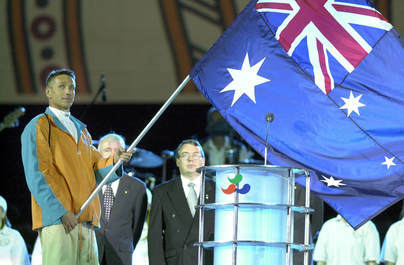 World champion athletes who have reached their potential with appropriate Treatment! 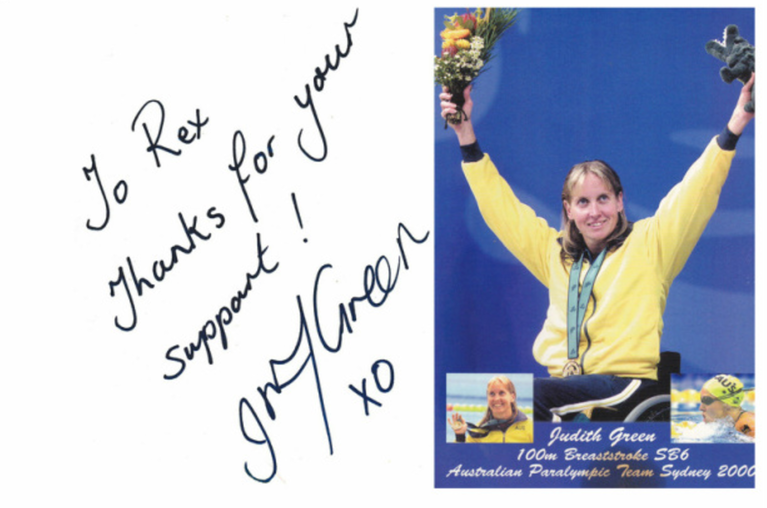 Judith Green, is a swimmer I helped towards her Gold Medal at the Sydney Paralympic games. 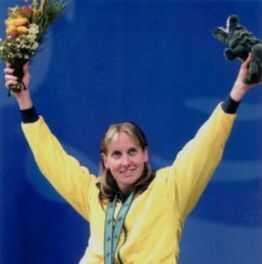 Although her training and ability were the main factors in winning her event, it was noted that the therapy she received gave her a better ROM [Range of Movement]. Resulting in Judith being able to exercise with a better technique, contributed to faster lap times. 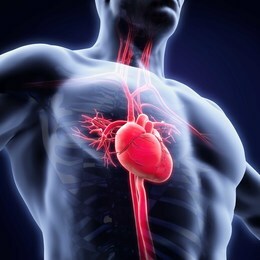 ​Chest pain – a possible heart attack! ​An elderly man presented with pain in the Thoracic area and radiating chest pain. In the 12 months prior to this appointment, the gentlemen had been seeking treatment from his GP, who had referred him on to a heart specialist to ascertain if the pain was a prelude to a major Cardio Vascular event. He was subjected to a battery of tests that found nothing to suggest any heart or lung problems. Granted, it was reassuring to have those diseases eliminated from the list of possible causes of chest pain. Nonetheless he still had the pain, but no explanation as to the cause. At this point the subject decided to see Maleny Remedial Therapy about a different pain, which travelled across his upper back, shoulders and neck – the type of pain associated with poor posture. Since upper back and neck pain is one of the most common reasons that a patient seeks treatment, the treatment protocol was quite basic; involving a combination of techniques, such as effleurage, longitudinal stroking along the muscles, with some cross fibre friction and Trigger Point therapy....and chest stretches that are outlined by Clicking Here. CTS - Carpal Tunnel Syndrome. A typical example where the symptoms of CTS [Carpal Tunnel Syndrome] have not been a guide to the problem. CTS is a collections of symptoms that suggest median nerve entrapment at the wrist. Incidentally, many people are led to believe they have carpal tunnel syndrome because they had confirmatory Nerve Conduction Studies. Unfortunately, when diagnosing carpal tunnel syndrome with nerve conduction studies, the results are incorrect 50% of the time. This particular woman was suffering pain numbness and tingling in the hand and also radiating pain at the neck and shoulder. One treatment, usually more is required, was sufficient to relieve her hand, and shoulder pain, as well at the numbness and tingling at the wrist. More here. A woman presented with a sore lower back and an inability to perform her work as a cleaner. Her pain was a result of having fractured her L5 vertebrae six weeks earlier. Although receiving the all clear to perform light duties by her doctor, the pain in the lower back prohibited said work. Clearly, remedial therapy will not do anything of an immediate nature for broken bones. Yet, two treatments was all that was required for this lady to go back to work virtually pain free. The reason for this is at the end of the next case. This gentlemen was a triathlete who had been receiving regular Sports Massage to help keep him in shape for his events. However, on Sunday, ​one week prior to his biggest event of the year, he took a fall onto the steel strip on the side of a truck. As a result he could barely move and went and saw his friend who is a GP. Beyond assuring the triathlete that there were no bones broken, all that could be offered were pain killers and advice 'not to get remedial massage' as that would aggravate the injury. ​Now Tuesday, there being no improvement and clearly unable to compete as he could barely move, let alone run, chiropractic treatment was his next choice. Again to no avail, beyond reassuring the athlete that massage would only aggravate a bruise injury. Wednesday saw no improvement, therefore a remedial therapy treatment was tried next (isn't that the way?) I won't bore you with the full treatment protocol for bruising, beyond finishing the treatment with a cold pack. In this case the treatment involved releasing the muscle spasm around the bruise. Although not suggesting that the bruise was not involved, it was very unlikely that a bruise would stop an iron man triathlete. Male subject presented with chronic lower back pain, a result of a soccer accident 20 years previous. Although having treated this person for some months, he still suffered intermittent pain. To a competent therapist such a result is not satisfactory. It was obvious that there was a muscle imbalance that caused the pain to reoccur. ​Therefore, it was suggested that he start a weights program focusing on strengthening the lower back, Gluteal muscles and in fact all muscles that attach to the pelvis. This suggestion met with the statement 'I have tried that numerous times over the last 20 years, but every time it caused pain and following the doctors and Physios orders, I stopped." Clearly that had not been the correct approach, had it been the correct approach, he would have achieved the correct result, i.e. pain free movement. Against his better judgement, he went to the gym and started on a light, but very specific program. During that first session, the pain returned, and not surprisingly he felt it wise to stop. However, as stated previously, he had been stopping each time there was pain over the last 20 years. Stopping had not worked in the past. Why would it work now! It was pointed out to him that a similar action would produce the similar result. Further, it was mentioned that his technique was good, and the weights were light. It was explained to him that the training would not damage him, it may hurt, but it would not damage! Therefore he continued on with the session, with good technique and light weights. At the session's end, he was surprised that the pain had gone. Now here is where this particular case becomes interesting. It was explained that although the pain was gone today, he would be sore tomorrow; as an adaptive process. However, the next day he was pain free. Twenty years of pain gone because he made the muscle perform its designed duty. Clearly, performing the exercise correctly, was sufficient to switch-on/reset the muscle. MUSCLES ARE THERE FOR A REASON - USE THEM CORRECTLY.